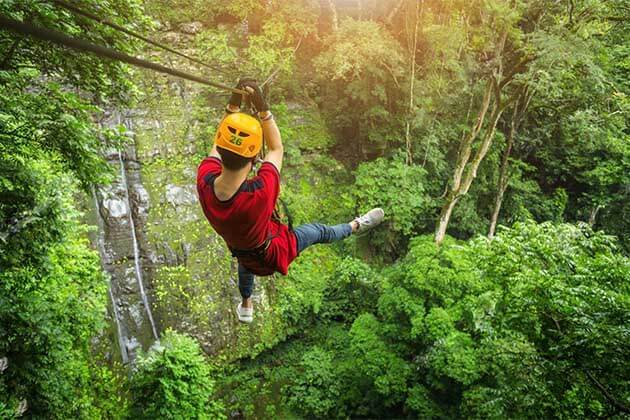 Best known as a stopover point for anyone who wants to have an adventure in Laos tours, Luang Namtha province is a new land and strange, and sure that you will not be disappointed when traveling in “land of elephants”. Located in the north of the country, Luang Namtha has the borders with Yunnan of China to the North, Oudomxai Province to the Southeast, Bokeo Province to the Southwest and Shan State, Burma to the northwest, and not too far distance from Luang Namtha to Luang Prabang. 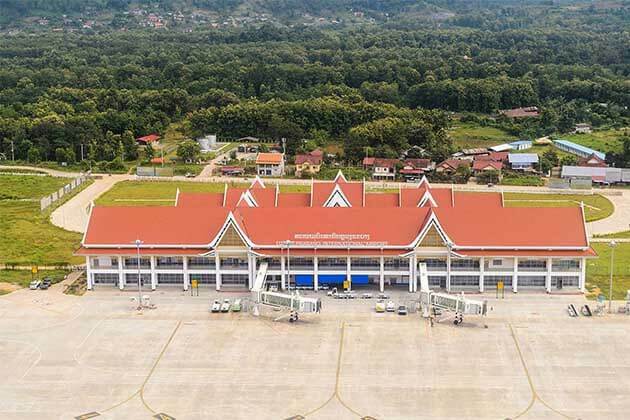 Luang Namtha also offers the airport if you want to travel by plane. Besides, a wide range of hotels, hostels, and homestays in Luang Namtha are always available to meet your demand. Come to Luang Namtha and enjoy your best trip ever. 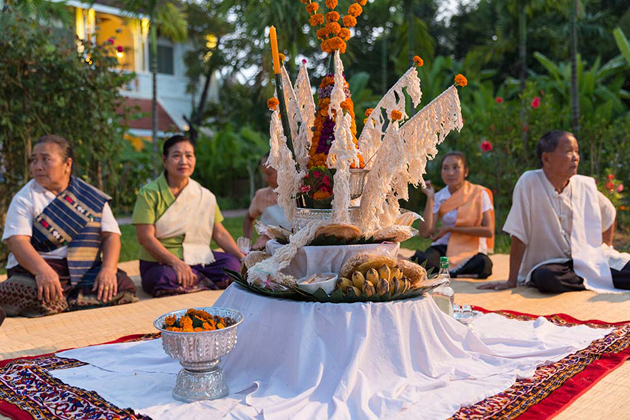 If you are a Buddhist, Luang Namtha is an ideal suggestion for you to have a peaceful place. Moreover, when traveling to this land, you will admire ancient temples with unique architecture as well as the Lao cultural identity. 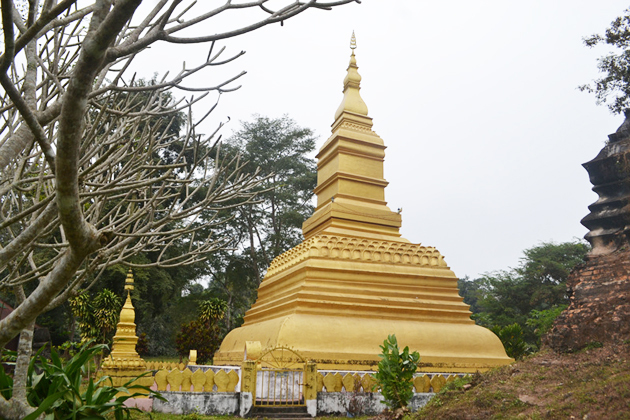 In Luang Namtha, there are over 20 pagodas and temples at Sing district. Here some famous temples at Luang Namtha. Situated near the village of Nam Ngaen, the stupas were built on a hill in the northeast of the Namtha Valley. Initially, the stupa was built in 1628 to demarcate the neutral line between Lane Xang (center in Luang Prabang) and Lane Na (center in Chiang Mai). In 1966, the old stupa was destroyed when a US aircraft dropped bombs on it. inside the ancient tower, you can see a new tower building in 2003. Built in the late 19th century, this temple is located in the northern part of the town, not far from the morning market. Its buildings are exquisitely designed, with multi-story roofs, and decorated in red and gold tones, highlighting the beauty of the temple. But wait until you enter the main sanctuary. Over the length of the main aisle and in front of the long-earlobe Buddha, a forest of banners hang from the ceiling weaved with colorful fabrics and containing prayers. One particular thing is that the surrounding walls are decorated with religious paintings. The red columns bear delicate silver laces. It is these things that make you unable to move your eyes even once. It looks like you are lost in a mysterious atmosphere for meditation. This temple gathers the Thai Lü community in the neighborhood, one among the 50+ ethnic groups living in Laos. Wat Xieng Tung is the most important religious monument in Muang Sing. It is believed locally that the stupa contains the Adam’s-apple of the Lord Buddha. When the stupa was first constructed is still a mystery. Standing in front of the stupas, you can easily see a staircase on the left, which will lead you to a sacred fountain as well as sacred stones. If you follow the path to the right of the stupa heading downhill you might be able to find the old moat and wall that used to surround the site. The biggest festival of the year, Boun Wat Xieng Tung, is held here every year during the full moon of the 12th lunar month (usually November) and attracts a large crowd of people from around the province as well as Tai Lue Buddhists from as far top of a hill 5.5 km from the center of town on the road to Luang Namtha. 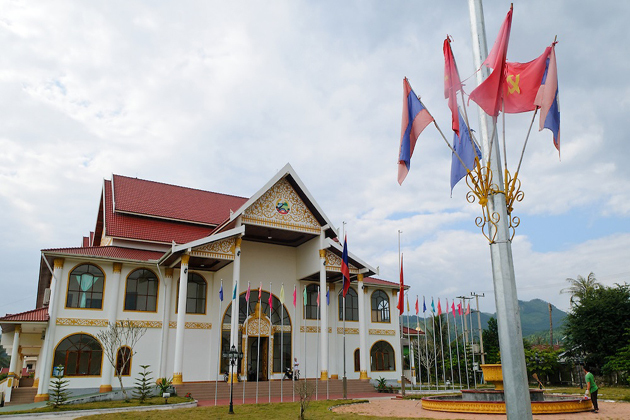 This is one of the provincial museums showing many artifacts made by the multi-ethnic Luang Namtha. When visitors visit the museum, they are often interested in collections such as indigenous clothing, agricultural tools or items used in daily life. The museum also features images of buddhas, bronze drums, pottery, and textiles. One attraction that attracts tourists here is the traditional hand-made weapon on the screen that has been used for hunting or for national security. Luang Namtha is also known as the old town, located near the airport about 6 km south of the new town. In this place, you will be fascinated by the many shaded roads and larger wooden houses built in Tai Yuan style. In the old town, you can also see evidence of the second war in the old town. These two old artillery pieces of the Indochina War resemble the boats at the entrance to the airport. Ban Vieng Neua (Tai Kalom) is located about 3 km from the town center, near the airport. The house was built in the traditional Kalom style (Kalom, also known as Tai Yuan), although some modern sanitary facilities were added. The house can be used by local people for meetings, weddings, and other events. 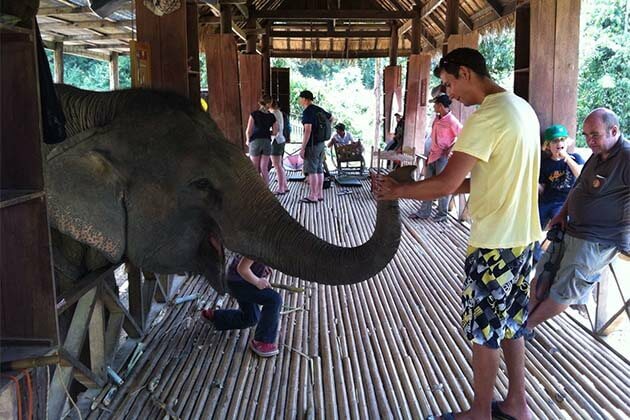 It also serves as a tourist attraction where local and international travel companies can provide traditional Lao customs and traditional cuisine. 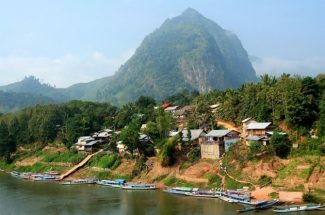 The villagers in Ban Vieng Neua are proud to keep their traditional customs and welcome visitors to view. They can offer a wide range of services, from baci ceremonies, dance performances, lunch or dinner, and cooking classes. These services can be booked by travelers through the Tourist Information Office in Luang Namtha Town, or by any travel company in Laos. Ban Ngam Ngam handicrafts village and Ban Nam Ngaen distillery village have two ethnic groups, Thai Deang and Thai Kao. The village is famous for its various handicrafts. 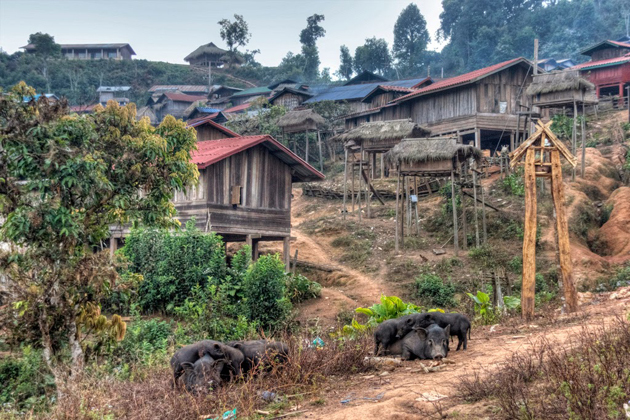 A small wooden lodge built by the Nam Ha Ecotourism Project provides accommodation for anyone interested in experiencing the rural Lao lifestyle. Within walking distance from Ban, Pong Ngam is Lao Ban Nam Ngaen Lao distillery village where people can see the process of making famous Lao rice whiskeys. You can go by bike according to the map in this guide. 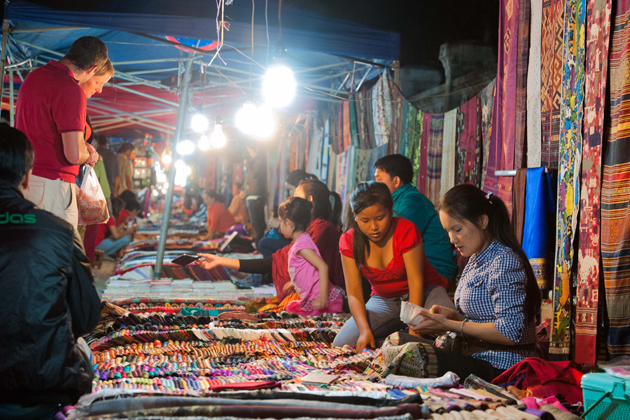 The newly renovated night market is located in the center of Luang Namtha town, where local people from different ethnic groups provide unique handicrafts for sale. 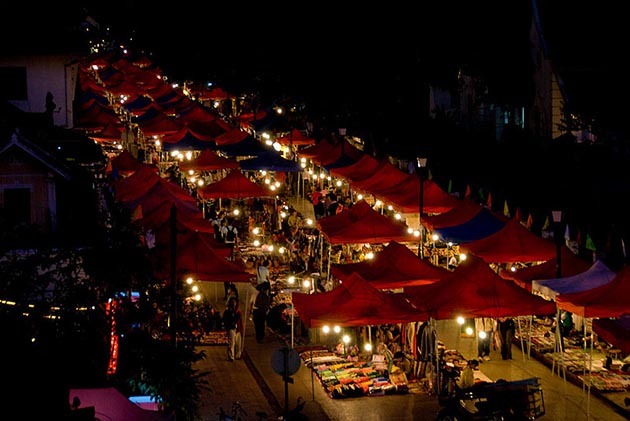 The night market is open every night and is ideal for enjoying typical Lao cuisine or watching occasional dancing or music. With an area of 222,400 hectares and sharing the international border with the Xing Sanctuary in China, the Nam Ha National Biodiversity Reserve is one of the largest protected areas and provides shelter for wildlife species such as tigers, solar bears, black gibbons and silver pheasants. 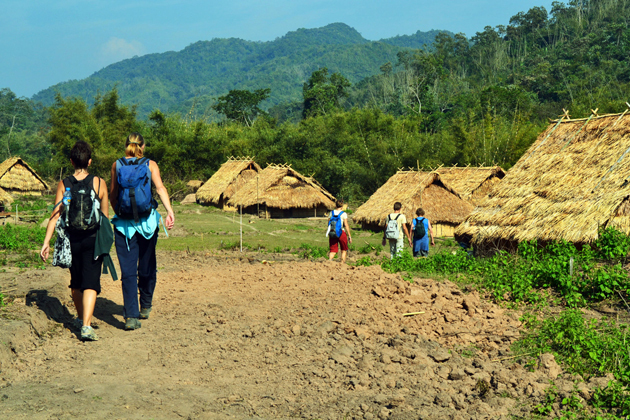 The trip to Nam Ha NBCA supports the preservation of natural resources and traditional livelihoods. Approximately 6 km northeast of the town center, the Ban Huay (Lenten) village of Ban Nam Dee (good water) is a good place to observe the progress of bamboo paper production. 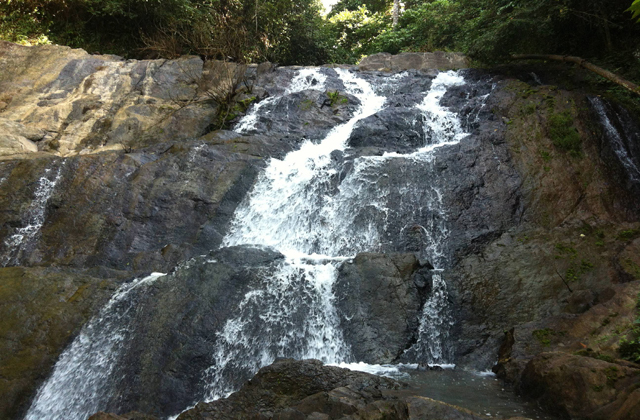 Behind the village, you will see the entrance to Nam Dee Waterfall. The area surrounding the waterfall provides good facilities, such as a handicraft shop operated by the villagers; toilets and homes for picnics, etc. 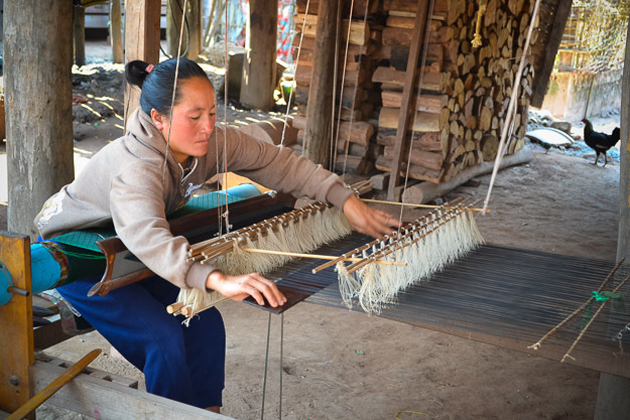 Tai Dam textile are mainly products made in Ban Nong Boua and Ban Xieng Yun. Look for large looms below or next to the houses, and do not be afraid to sit down and have a cup of tea if you are invited to someone’s home. You should remember that: Ask local people before taking pictures and take off your shoes before entering the house. To express your gratitude and support the local crafts, you can choose to buy one of their handmade textiles. A great way to travel through Nam Ha NBCA is by raft or longtail boat down the Nam Ha River, where there are many birds and reptiles in the surrounding forest. 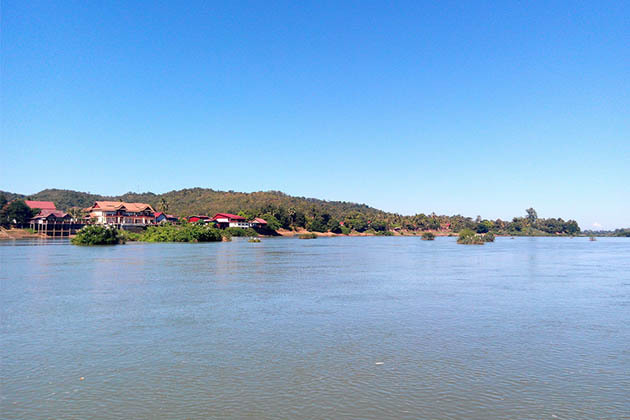 A longer journey on the larger Namtang, a traditional trade, and a tributary of the Mekong, links Luang Namtha to both Houei Xai and Luang Prabang. Boat trips all over Namtha require overnight stay in the traditional village of Ban Khone Kham (Nale District).